The text message was pretty simple: “Iowa, Iowa, Iowa, Iowa, Iowa”. It’s what James Franklin sent to his team last Tuesday evening after the first College Football Playoff rankings came out and had Penn State 12th. It was consistent to Franklin’s message all week long: Penn State had plenty to worry about ON THE FIELD for Saturday night. In fact, each day of the week, he would remind his team of certain Iowa stats. One day, it was the fact the Hawkeyes had won a school-record nine straight road games. On another day, it was that Iowa had beaten Penn State the last four times the Nitanny Lions had been ranked. 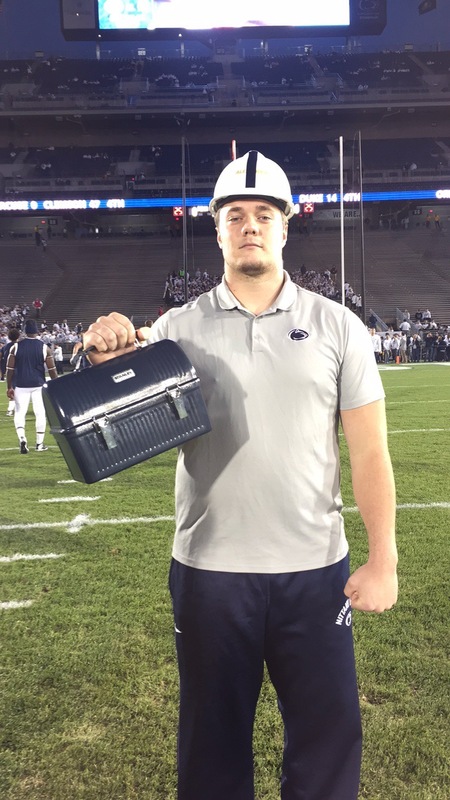 Offensive lineman Andrew Nelson had a big smile on his face in the pregame, to go along with his hard hat and lunch pail. The idea came from PSU Offensive Coordinator Joe Moorhead. 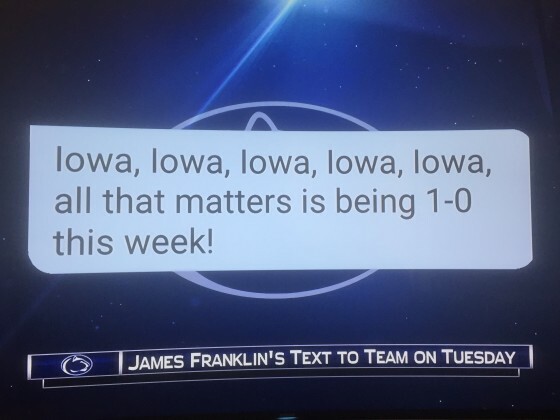 He wanted to remind his O-line that Iowa was a blue-collar team, and if Penn State was going to have a chance, they would have to match the Hawkeye’s attitude with a “go-to-work mentality” of their own. The players responded, and Nelson, who is done for the year because of a knee injury, seemed to enjoy staying involved in the game in this way. He had a different kind of celebration for every Penn State score on Saturday night. Sometimes it was lifting the lunch pail high above his head and pounding it with his fist. On the final touchdown, he grabbed a couple of teammates and they pulled out a banana from the lunch pail. He leaned back on the bench, one leg over the other, took a bit of the banana out of one hand and made the circular motion of what’s become the symbol for “we’re going to eat” with the other hand. Nelson had all the choreography down Saturday night. And so did his fellow linemen. Running back Saquon Barkley had himself another great day. He was just a few yards shy of back-to-back 200-yard rushing games. 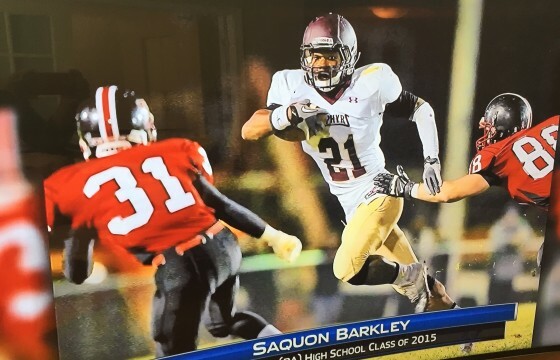 Barkley has come a long way from the kid from Pennsylvania whose first highlight tape to schools were a bunch of clips from…not his varsity team, but his junior varsity season. Barkley and our BTN analyst Matt Millen both attended Whitehall High School (Pa). And Barkley recounted to us his admiration, as he would remember walking into the high school. “You’re always reminded he went to school there. 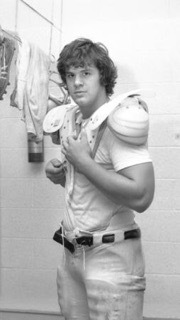 There are only two football names up there … Dan Copeland and Matt Millen,” he said. And Mr. Millen? Class of 1976: “Apparently, I didn’t know what a barber was,” he joked. Credit to our associate producer Denny Blount for tracking this gem down.